“I will be on this stage next year, best believe”, Rabai tells me with an enthusiastic face. 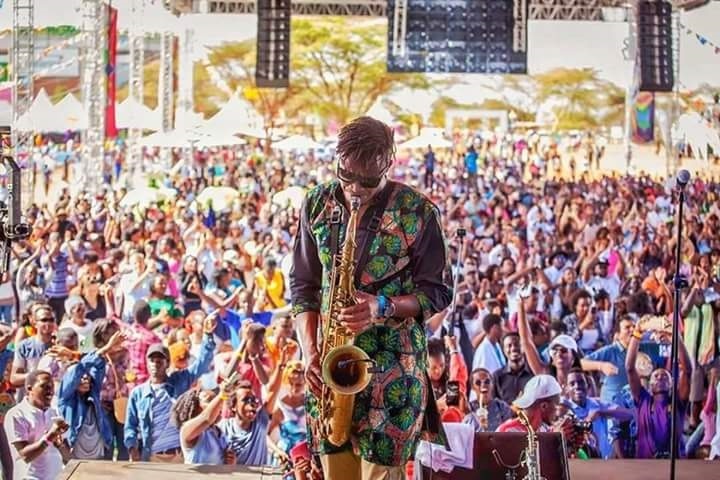 It was 2015, I remember as Sons of Kemet were performing at the time during the 3rd edition of Safaricom International Jazz Festival, like a fulfilled prophesy that saw the light of day, he was on stage the following year; he was performing as part of an electric ensemble known as Nairobi Horns Project. Rabai’s performances never rely on routine, or succumb to the charm of formulas, never allow for easy categorization. 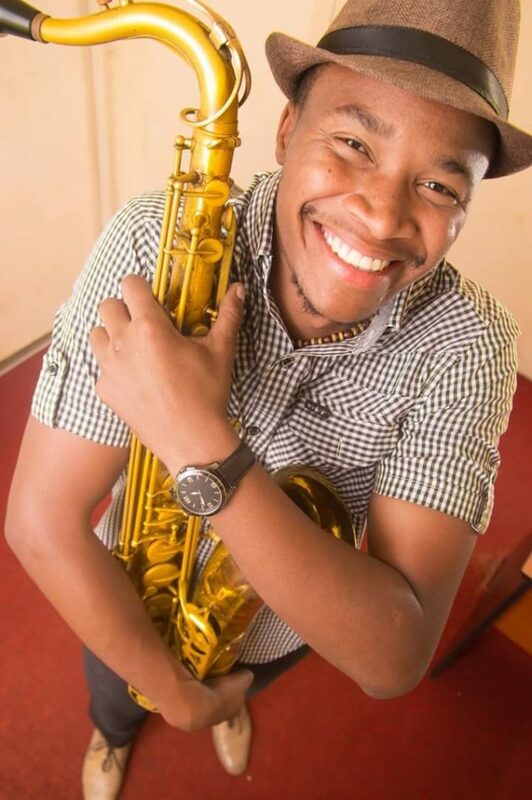 From a trumpet player to hopes of being an ambitious restaurant owner and chef as he reveals in this interview, Freedom, musical exploration and practice obviously plays an important part in his musical life. The freedom to surprise and venture into the unknown. 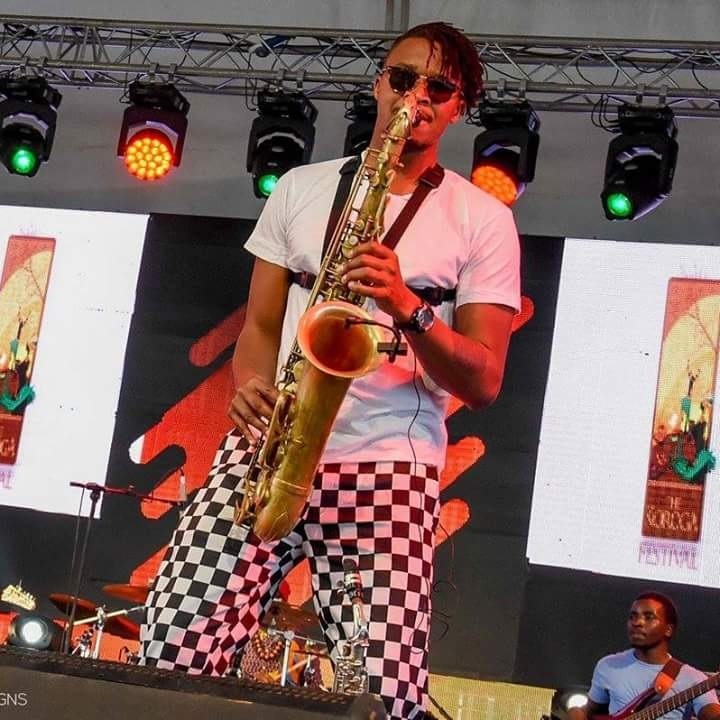 His consistency in playing the sax got him where he is, musically fanned fire into an already combustible concoction of RnB, reggae, jazz, EDM and a multitude of associated styles of music. He has never stood still, engaging in a variety of radically different collaborations and solo projects one of them being the Neptunes band; one of his latest babies he is grooming. Q: Does your saxophone have a name? Q: When did you become interested in music? What was your first musical encounter like? A: I grew up listening to the likes of Kiss 100, Easy FM, and Capital FM on my mum’s small radio. I sang along to the music back then. R n B and hip hop were the in thing for most of us, Reggae didn’t just sit well with me but bwo bwo booom (he inflects his voice and uses a Jamaican accent) I dig that music and culture too. My first musical encounter was in high school. I joined the brass band as a bass drummer then went on to play the trombone. So yeah that’s where it started besides singing with my sisters the golden bells hymnal book in the wee hours of the night. 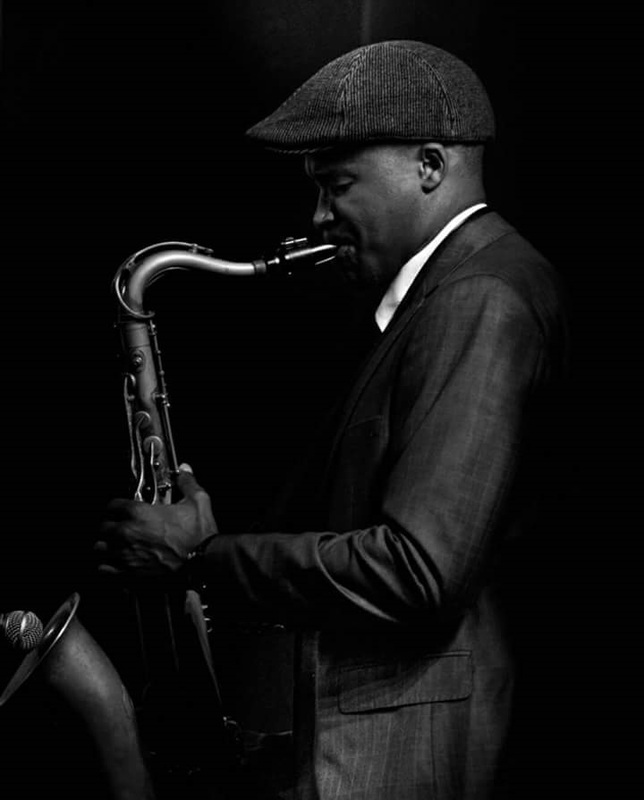 Q: How did you know that you would continue your musical career on the saxophone? A: I didn’t have a choice with no cash to go to college, I knew Music was the line I had to take. I later on got the resources to do a course in music which kick started my career. Q: Who and what were your early passions and influences? A: Joshua Redman for sure. Before music I had a desire to work in the hospitality industry as a chef. I still have hope that one day I’ll have an establishment with really great food and music by Rabai and future Mrs. My dreams are valid and so are yours. Q: You recently marked your 30th birthday in a big way. Is there anything in your musical life that you would like to embark on that we can look out for? A: Making music. In due time probably produce an album(s), explore some musical experiments around African music. The list is endless. The Soul knows where it finds peace. Rabai perfoming with Edward Parseen during his 30th birthday celecbration. 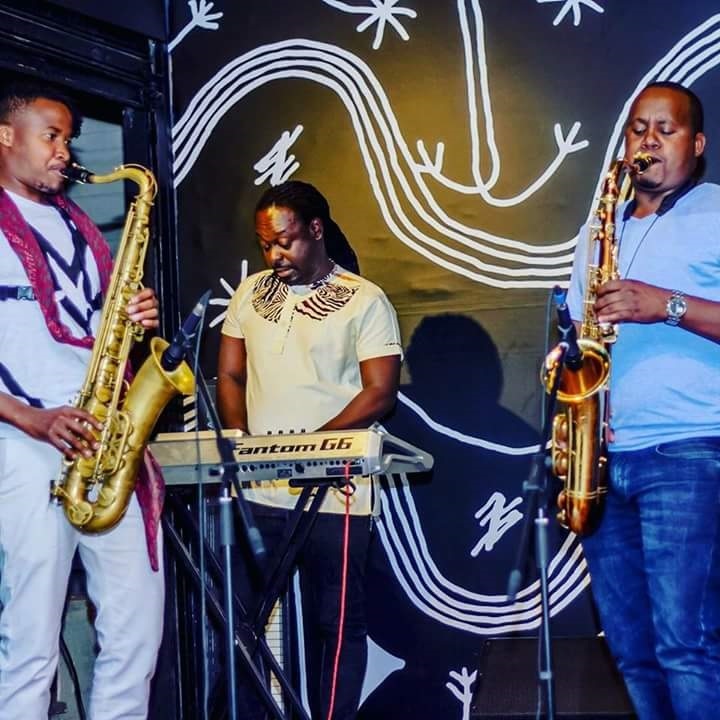 Q: Apart from working with Nairobi Horns Project, you have been busy working in a variety of collaboration ranging from working with head bumping deejays Noise on Demand to electric Latin jazz sounds with Jacob Asiyo. What interests you in such collaborations? A: Performing alongside EDM Deejays gives me freedom to experiment as I improvise in anticipation of the unfamiliarity of what lies ahead. Spontaneity is cool too. Jacob Asiyo is a school in general. He’s the crème de la crème of Pianists. I’ll be his side man for a long time simply to draw all the juice he holds as a musician. Oh there’s the Neptunes band who are a sleeping giant that are soon going to surprise you. Watch out for this space. Q: What would you say have been some of the more important tendencies in your development as a saxophonist over the past years you have been playing the saxophone? A: Top of the list is practice. And practicing the right material in this case. The other one is nurturing a distinct tone and sound. Listening wide too is fundamental in my journey. Research is key as well. Q: How would describe the appeal of the different types of saxophones for you? A: Tenor saxophones are forever my number one choice. Then Soprano. Then the rest. Baritone sax is pretty dope if mastered. Q: Do you like your own playing? More specifically do you listen to your own recordings? A: I like my Playing. I should listen to myself more often though. Q: Are you encouraged by the current music scene? A: It can be greener with corporate support and better wages to the musicians. Support beyond selling their products at events. I’m talking endorsements, branding, networks etc. 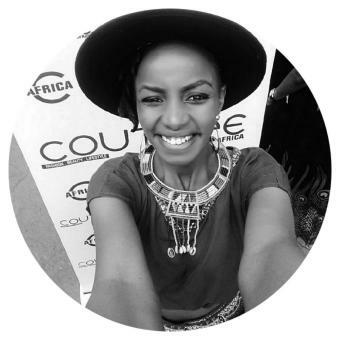 Q: What is your take on the future of live music in Kenya? A: We need to make it be part our education curriculum to nurture younger talent otherwise we will have the same old faces ruling the scene. Let’s pave way for the younger folks. My kids in the future (If I get them) for example will have to play a music instrument. My house my rules…he giggles again heheeeeee. Q: You are constantly on the go in a busy club within the capital, or at a breezy coastal resort, recording with NHP or playing at home. When you are immersed in sound the way you are does it make it become less fascinating since you understand how things are or more mysterious? A: One is never certain of what is to come because under the sun you and I aren’t quite sure of the next breath or moment. I like to live in the moment just as the wind cuts through my hair and goes on with her journey. Q: What is the first saxophone you had (the story behind it, did you steal money, was it inherited such a like) what was the make and model. What is the make and model of the current saxophone you own, What’s special about it? A: First Horn was an Ida Maria. 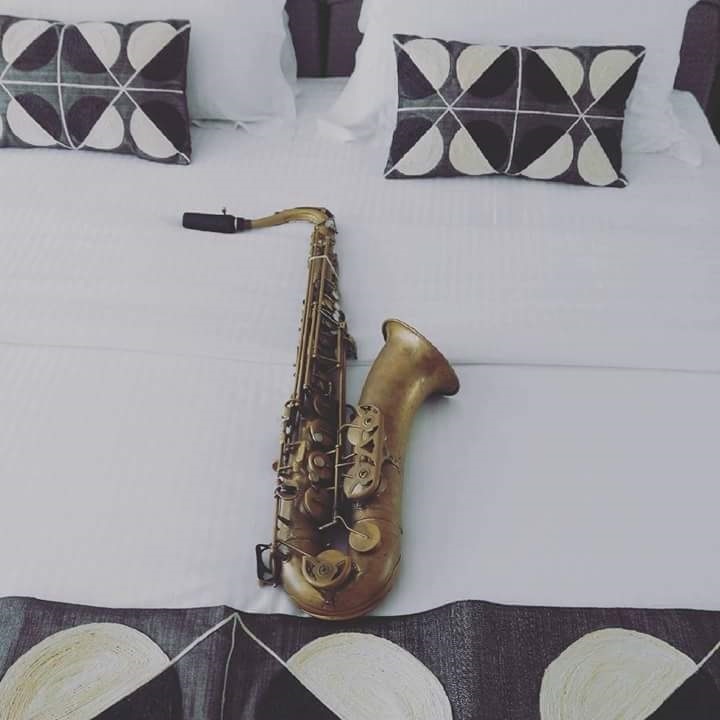 I acquired it from a friend, who was bought for by their mum, but had little interest in the sax for the love of a clarinet thus hooked me up with it. Finally bought it from him. It was an alto sax with a very nice tone. I’m Now a very proud owner of a Yanagisawa T5 series. I can say it’s a vintage instrument that I bought off a family who had it under their bed for close to a decade. It was owned by a former Starehe Boys Centre teacher who had passed on. I think that’s something special. I am hesitant to upgrade because the horn has really good action. A: Before the saxophone I played the trumpet. We had a gig and after sound check I placed my horn on the floor. What happens with the valves on the horn rotate and if they don’t align properly you have a blocked trumpet that can’t produce a sound. Show starts and when I am blowing my horn, it was jammed. I was frustrated especially after being given bad eyes for messing up Valary Kimani album launch. Luckily there was an extra functioning trumpet on stage. That was a crazy one. A: During my performances, I zone out and go places in my head when that music kicks in. It being very Spiritual. Q: Describe your fashion choice sense to us especially during a live performance? A: If It feels good and fits perfectly rock it… Do You. Where people can find you. Art café – Wednesday- Westgate.